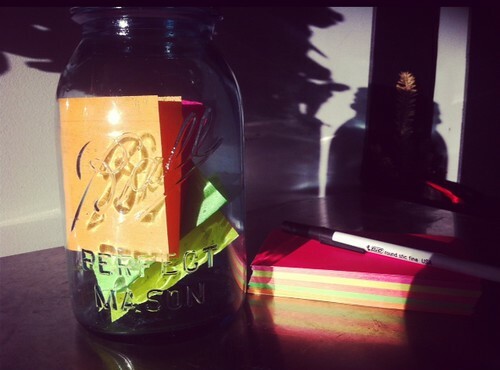 This is our happy jar – it’s for one thing – happy thoughts. 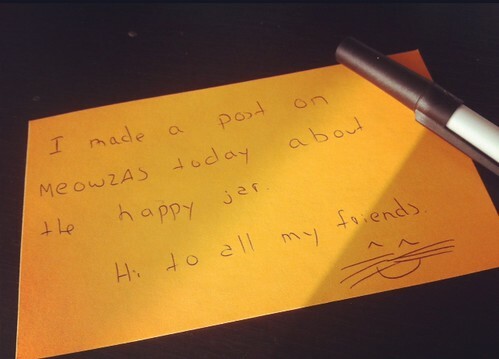 When you get a happy thought, you write it down and put it in the jar. At the end of this year we will sit down and open up this jar and read all the thoughts while reminiscing about them. The jar is to be used sparingly, we’ve only put 4 in it this month. What can you put in it? Anything that brightens your day. Maybe you had a beautiful lunch with some friends, maybe a stranger did something out of their way for you, maybe your cat warmed your heart (more than usual) that day, it’s really for you to decide what’s special. I’d like to start doing a jar every year…. How can you do this? 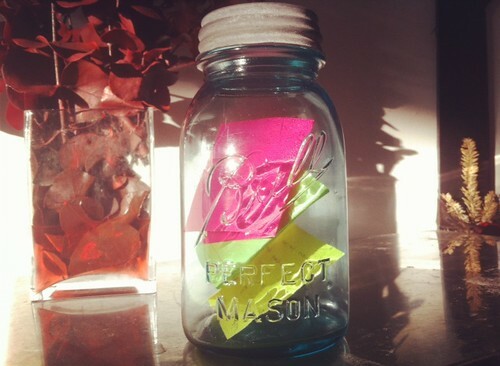 Grab a jar, it can be any type – I love colored glass so ours is a vintage teal mason jar. 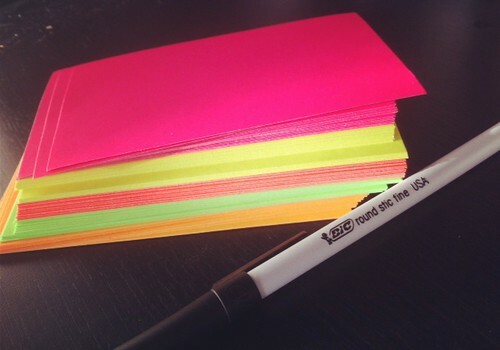 Keep a stack of paper and a pen nearby. 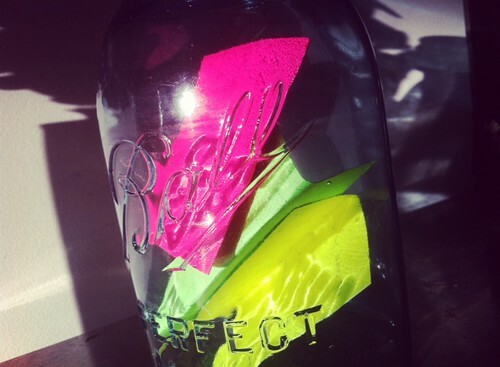 Whenever a thought comes to you, jot it down, fold it up and put it in the jar.